It’s one month into 2012. So, how are those New Year’s Resolutions going? Do you respond with, “What resolutions? Oh, those resolutions.” Most people tend to dismiss them as soon as we have broken them once, twice or three times. In discouragement, disgust and shame, we simply let them drop, like a stone tossed into a lake. Now if you have been a faithful steward of your life, then your resolutions likely dealt with better use of your time, talents or treasures. Maybe you decided to exercise three times a week, avoid junk food, read the Bible daily and attend Sunday worship faithfully. Maybe you vowed to spend an hour a day with your children and visit grandma in the home every week. But now that you’ve broken them, you’ve forgot them, right? -Instead of calling them “New Year’s Resolutions,” call them “Continuing Resolutions,” or just “Resolutions.” Why link good choices to one day in 365? -Make them seriously, but limit yourself to two — three at most. If you can pull of two important resolutions, that’s better than floundering with six. -Write them down in multiple places. Put them on post-it notes on your computer screen, bathroom mirror, car visor — wherever. -Especially write them on your computer calendar and set it to remind you of them every first of the month. 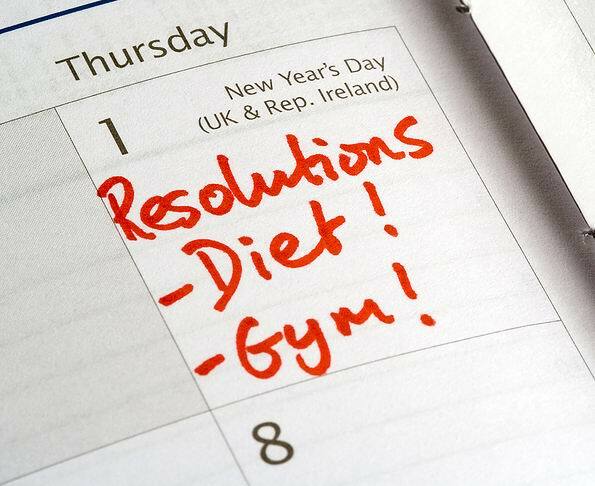 When the reminder comes, review your commitment to the resolution, your success rate and desire to continue. Revise if necessary. New Year’s Resolutions are easily broken and forgotten, but Continuing Resolutions may help you achieve your goal of being a better steward of your life. Reprint permission is granted to local churches for nonprofit, in-house use, such as websites or newsletters. Just include the following notice: “Copyright (c) 2012, Rev. Robert Blezard, www.stewardshipoflife.org. Used by permission.” All other uses please inquire.